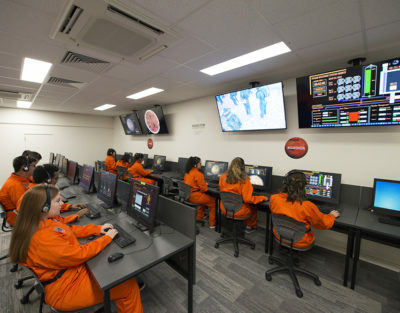 In September 2017, the Mike Roach Space Education Centre was officially opened at Hamilton Secondary College. 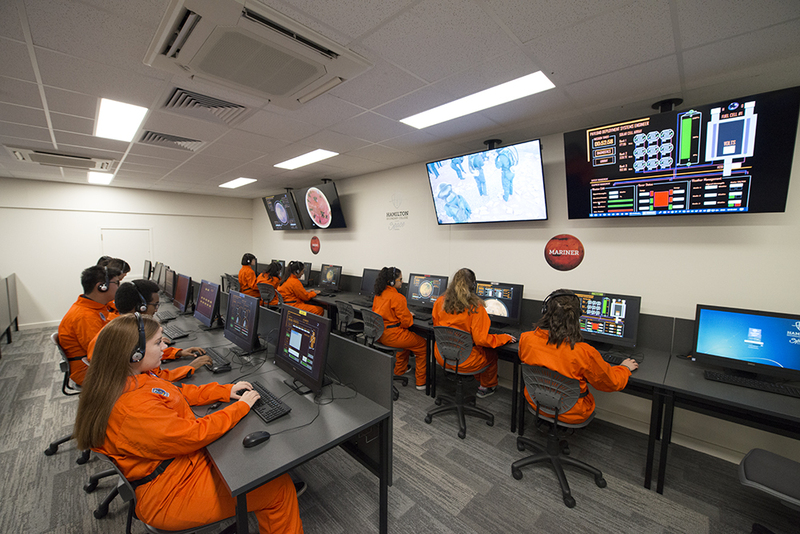 We are proud to be the only school in South Australia with a designated facility and specialist curriculum to lead space education. 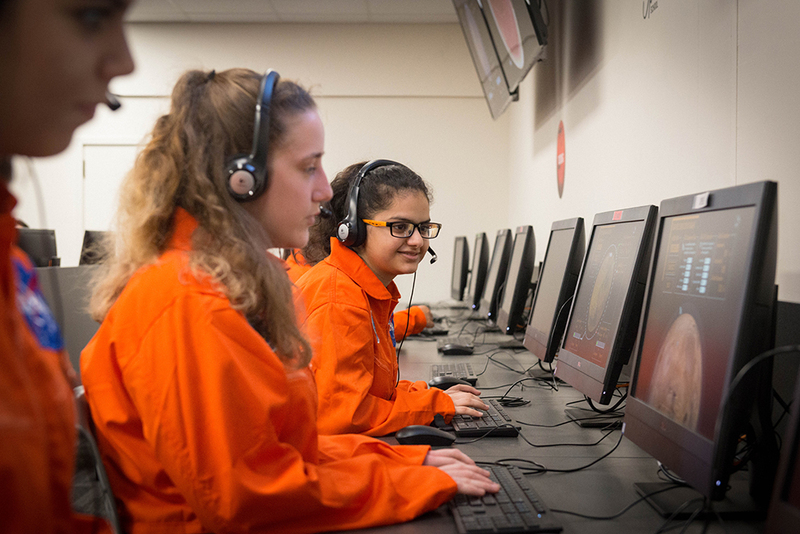 The Space Centre has four main areas which support our space science program – a simulated Martian crater and landscape with seven different geological zones, a Mission Control Room, a Briefing Room, and a space laboratory. 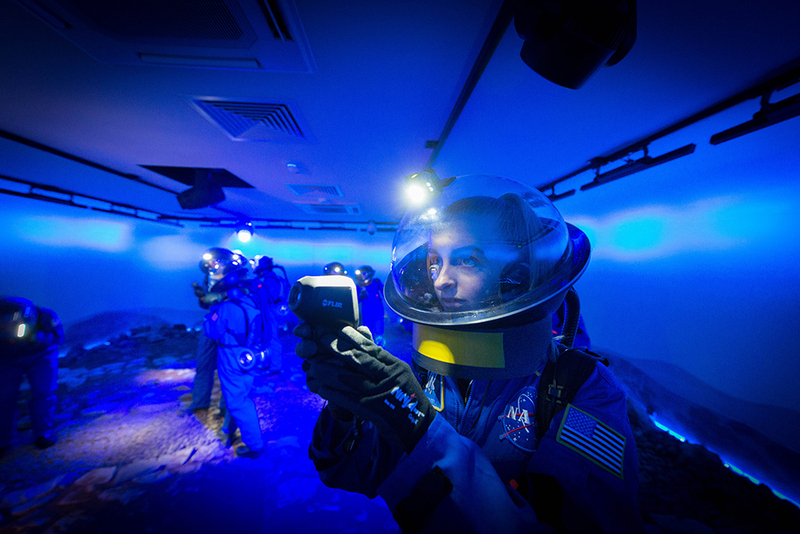 It has been designed to provide an immersive, hands-on learning experience. 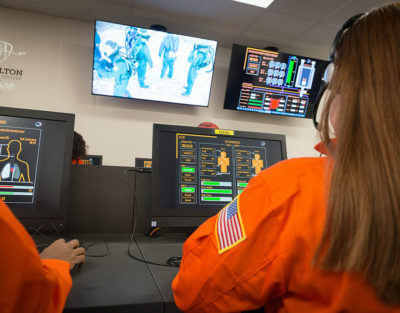 The briefing room is an audio-visual experience where students watch an introductory video about some of the issues that they need to overcome in moving humans to Mars. 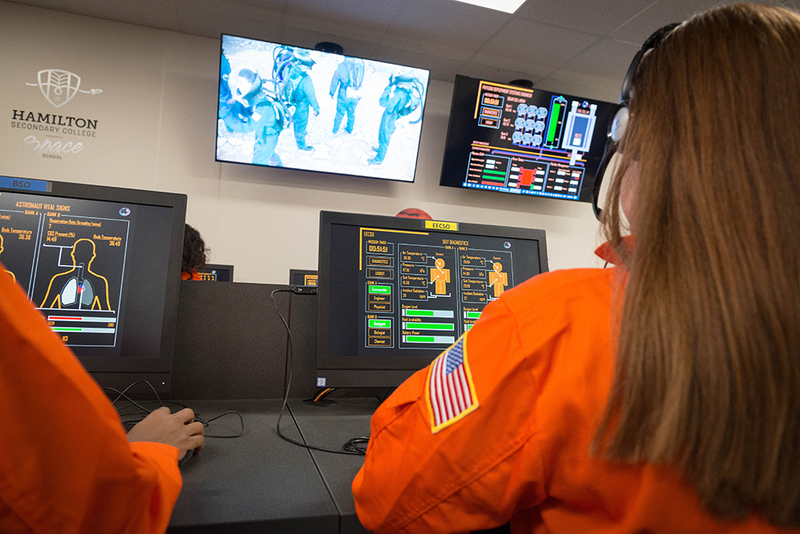 Students will role play space scenarios with teams taking turns to operate as astronauts dressed in full space suits collecting samples on the Mars surface, and scientists monitoring data and problem solving in Mission Control. 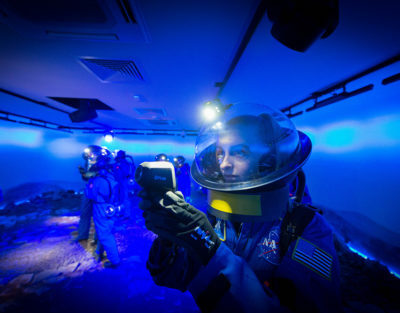 The design simulates real-life Martian explorations in the same way that NASA sends space probes to land in craters, as they are prime locations to gather samples. 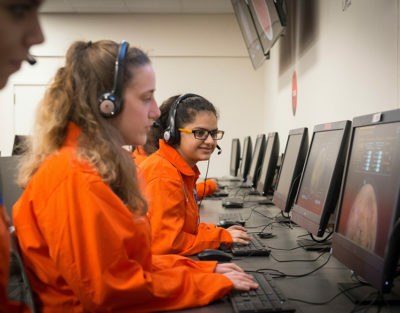 Our Space Centre and Mission to Mars program provides students with an exciting and unique educational experience. 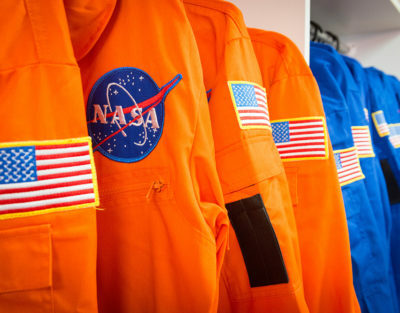 The Space program is supported by a growing number of industry partners who share our vision and goal to be a global leader in space education. 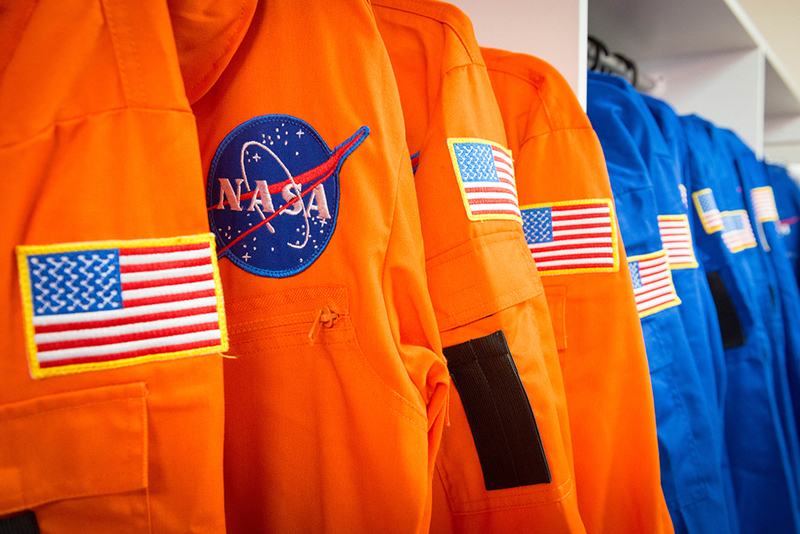 For enquiries about Space School, please complete the form below.